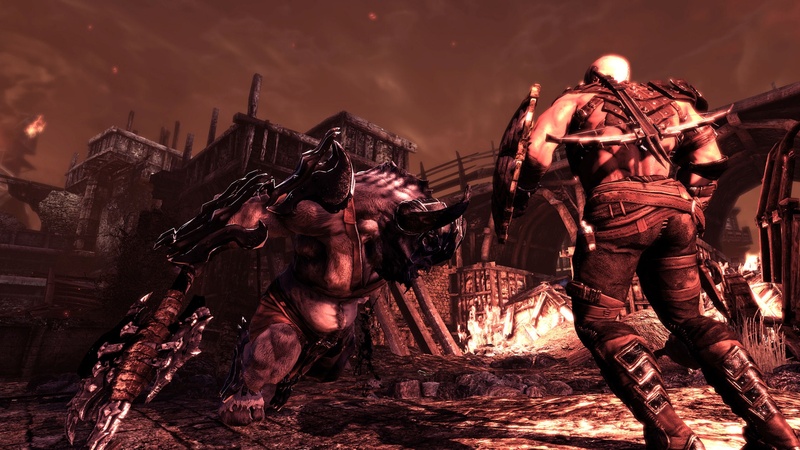 Bethesda has just announced the pre-order bonuses for Hunted: The Demon's Forge. The first two packs are your standard fanfare of exclusive armor and weapon pieces. The second packs however have revealed something we haven't heard about before - a dungeon creator. 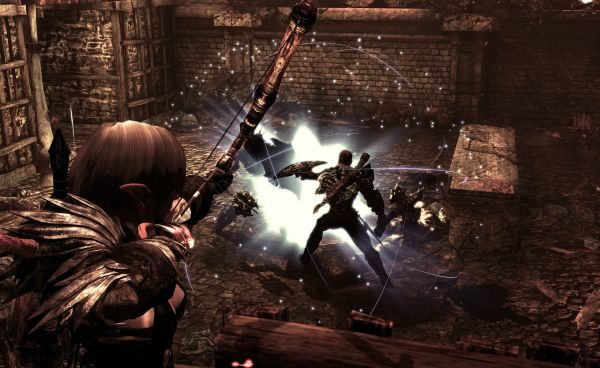 The editor is called The Crucible and it's touted as a "customizable dungeon creator system." 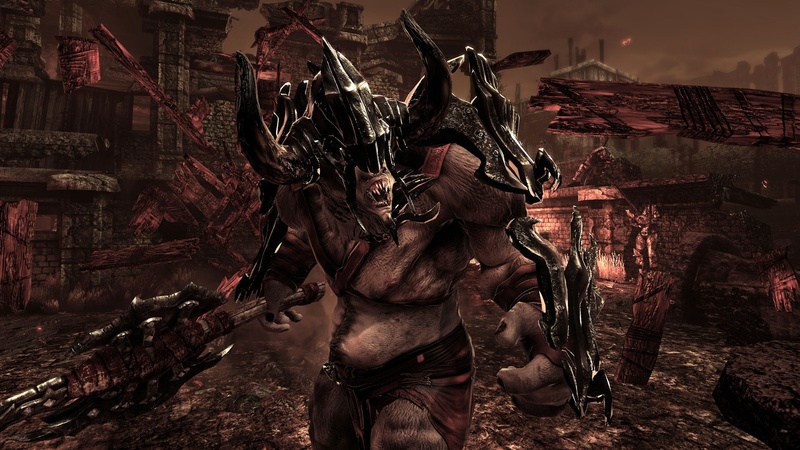 The two pre-order packs give players boss characters and levels to add to their customized dungeons. There's no other details available on The Crucible - perhaps more info is to come with Gamescom this week? The possibility of user created content for co-op dungeon crawling certainly excites us. We'll keep you posted. For now enjoy some new screenshots and more info on the pre-order bonuses. 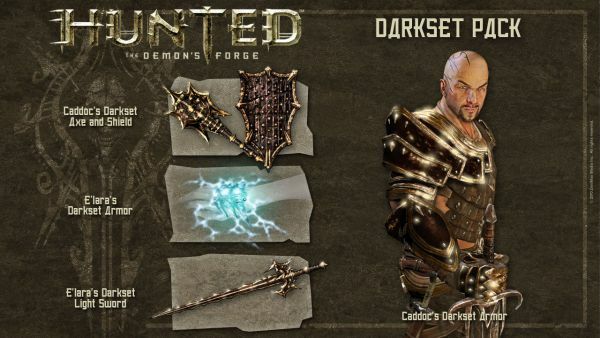 The Darkset and Griffin packs, which contain in-game items focused on armor and weapons, are offered exclusively through GameStop and Best Buy respectively. 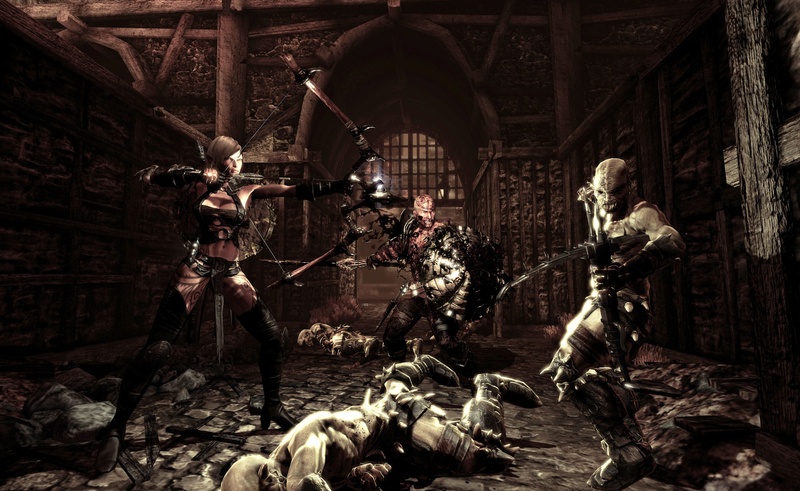 The Demon and Assassin packs, available through Amazon.com, Walmart, Direct2Drive and Steam, include content found in Crucible, Hunted’s customizable dungeon creator system.